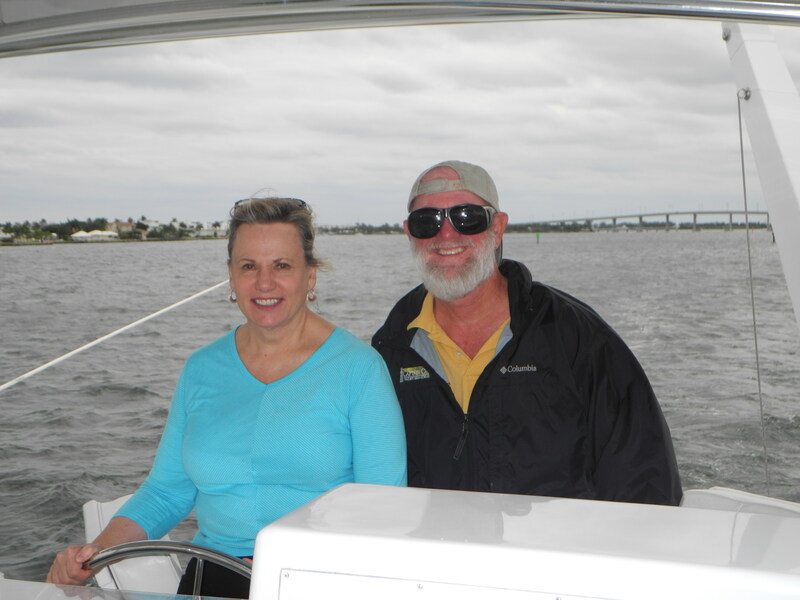 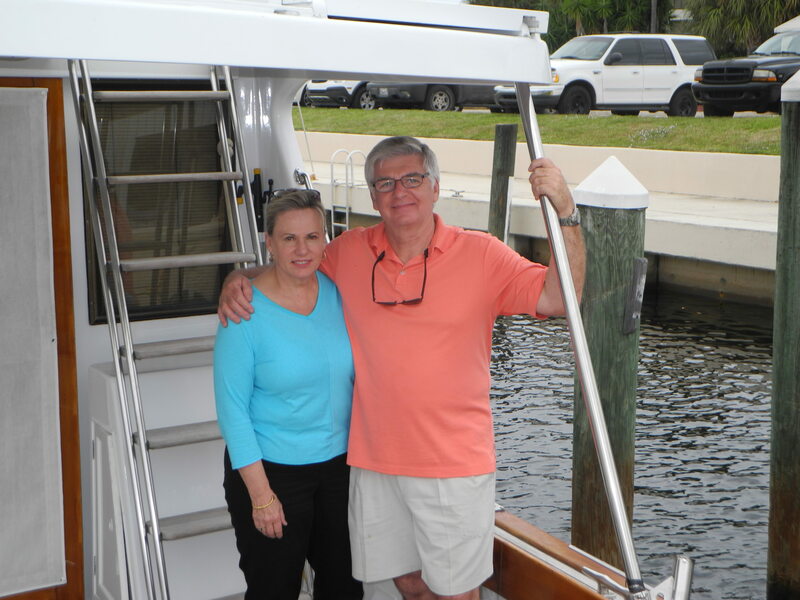 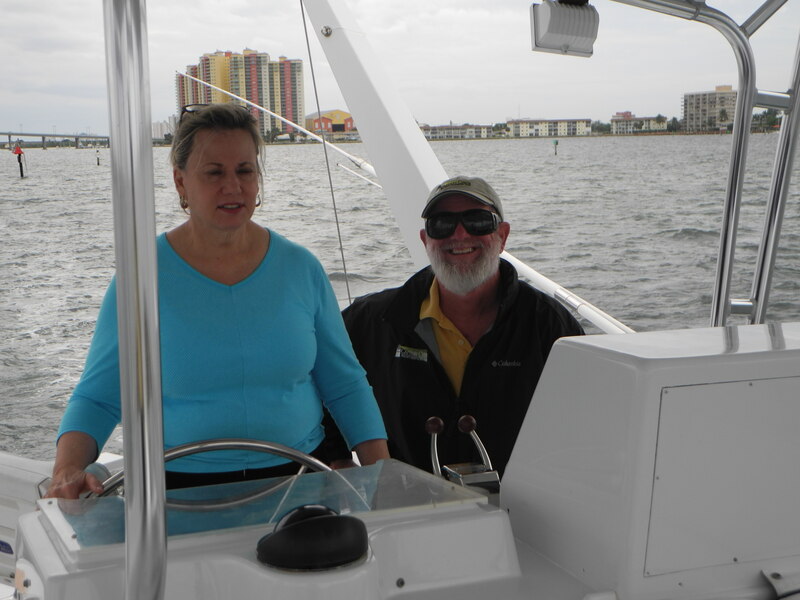 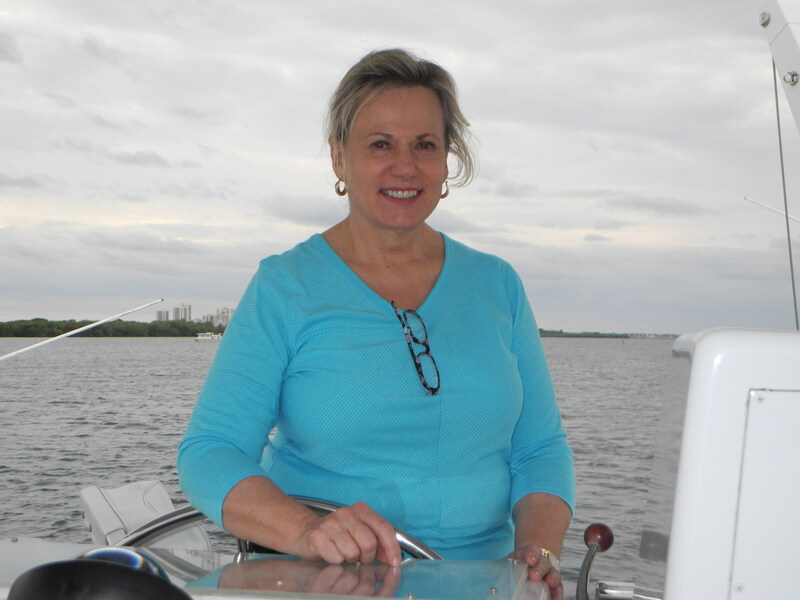 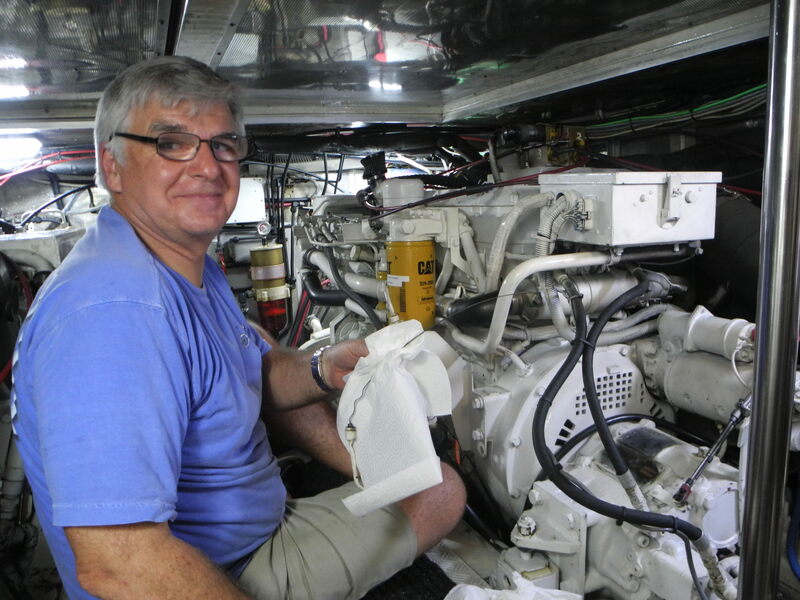 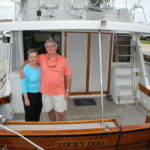 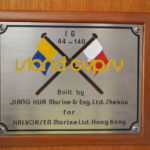 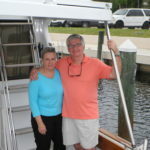 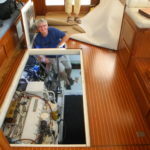 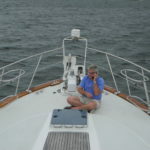 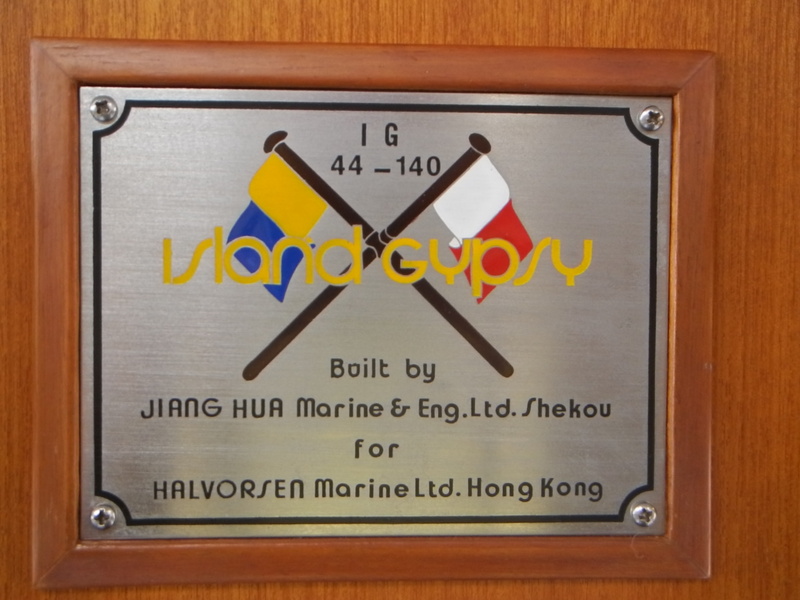 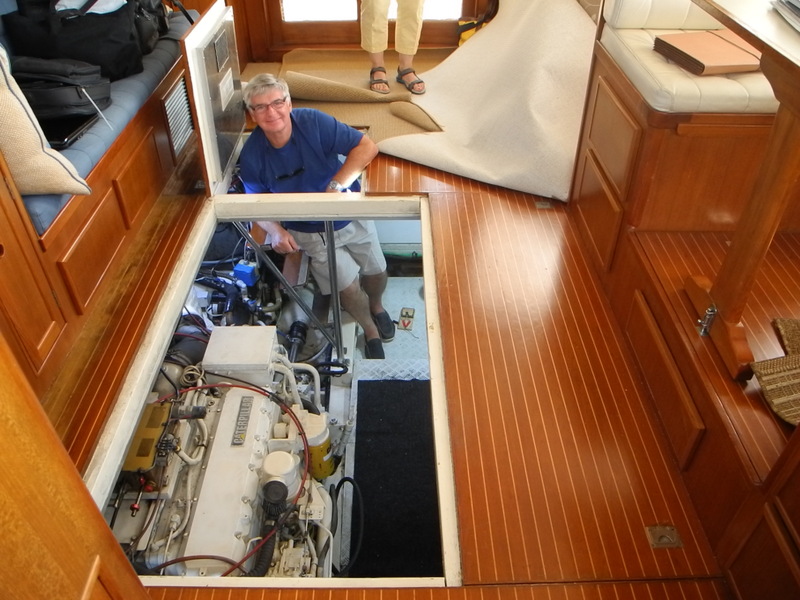 After this PA couple purchased their first EVER cruising boat, a Kong and Halvorsen Island Gypsy 44, their next step was to call Captain Chris for training. 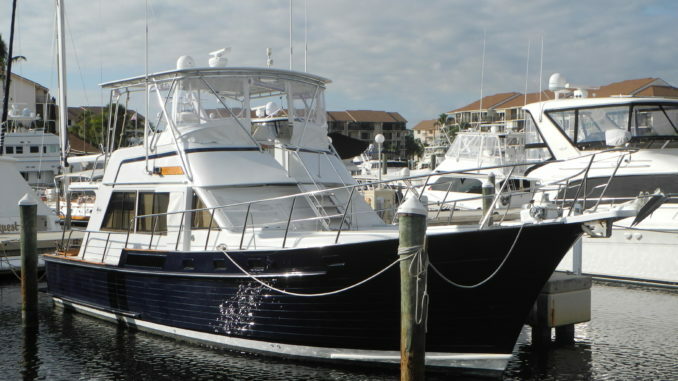 Since this is their first large boat and it was located in Florida we were asked to work with them to become better cruisers. 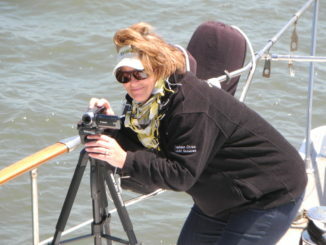 Obviously you may think that teaching includes hands-on time at the wheel. 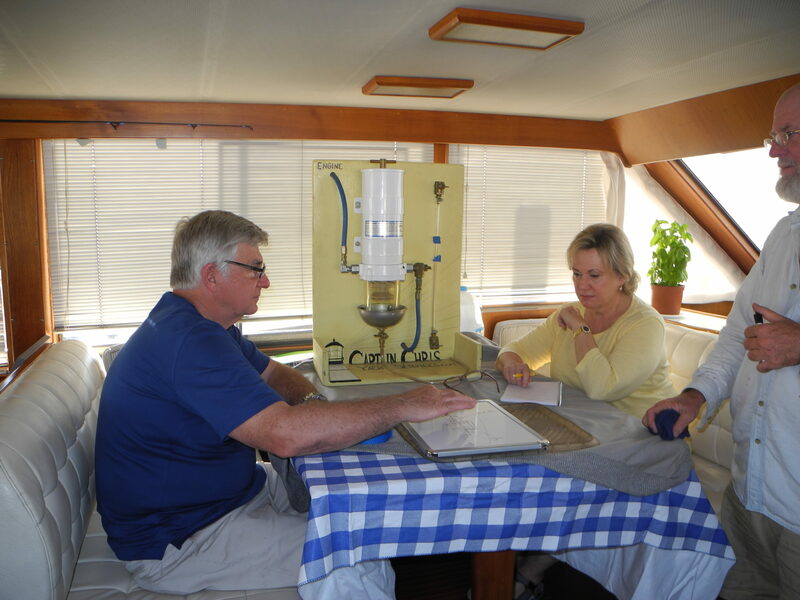 Getting comfortable working together as captain and mate. 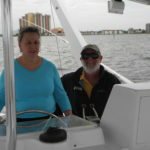 Learning the ropes! 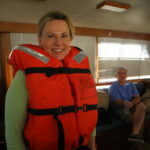 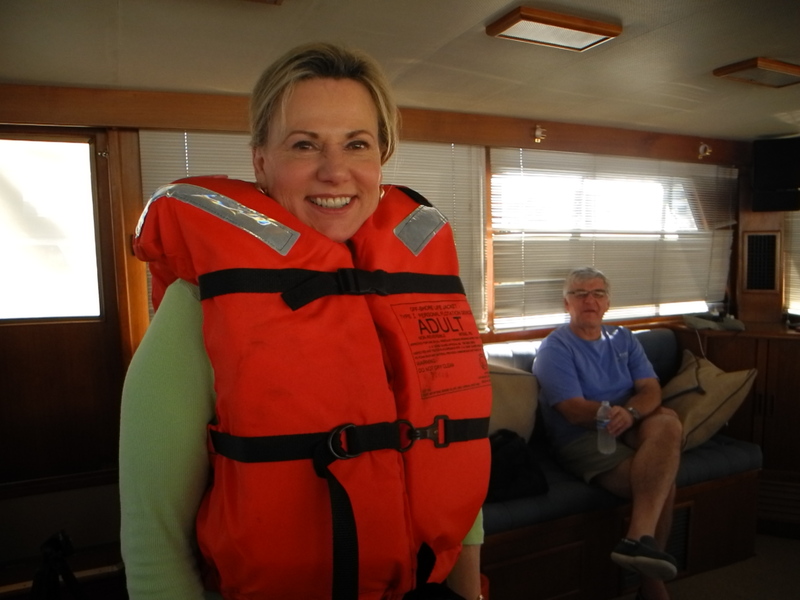 Well, you are correct in thinking that but training with Captain Chris includes so much more…. 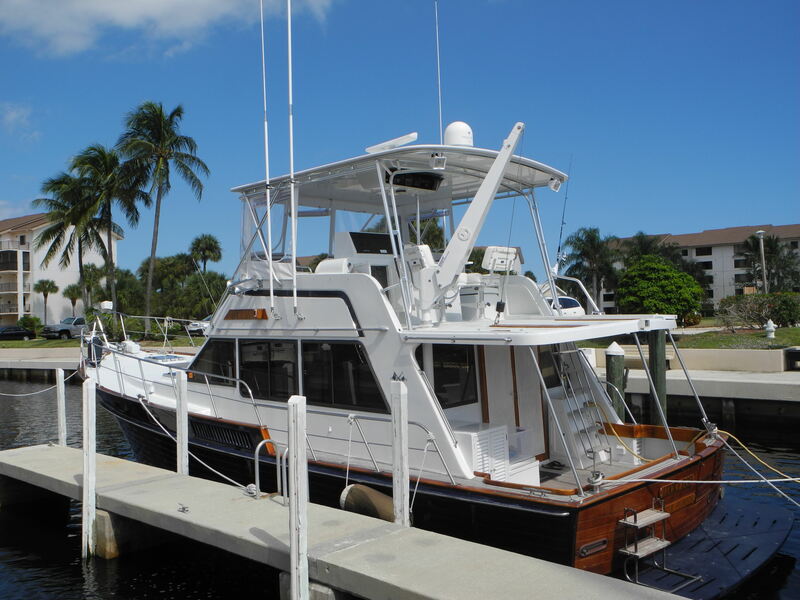 This trawler is powered by a pair of Caterpillar Diesels and has an enormous saloon along with two staterooms, heads and a galley down. 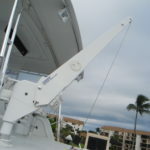 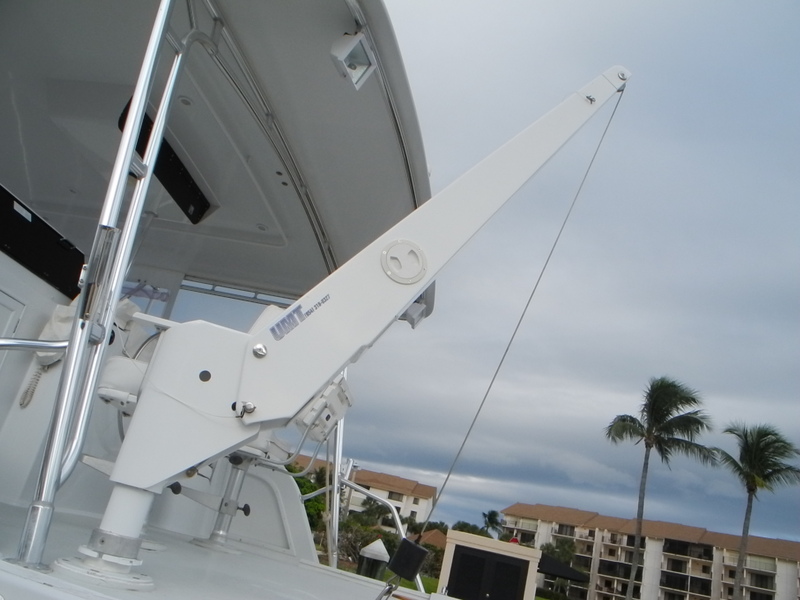 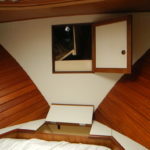 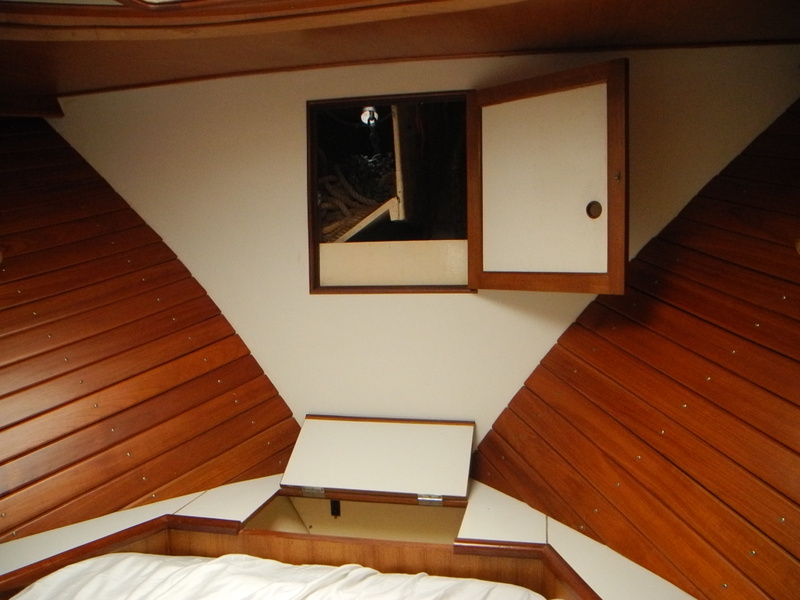 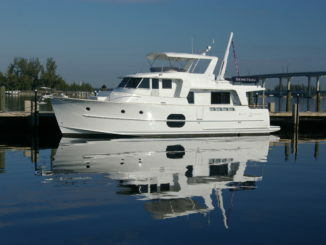 The flybridge is accessed by the aft deck cockpit and has a dinghy davit ready to lift the new dinghy aboard. 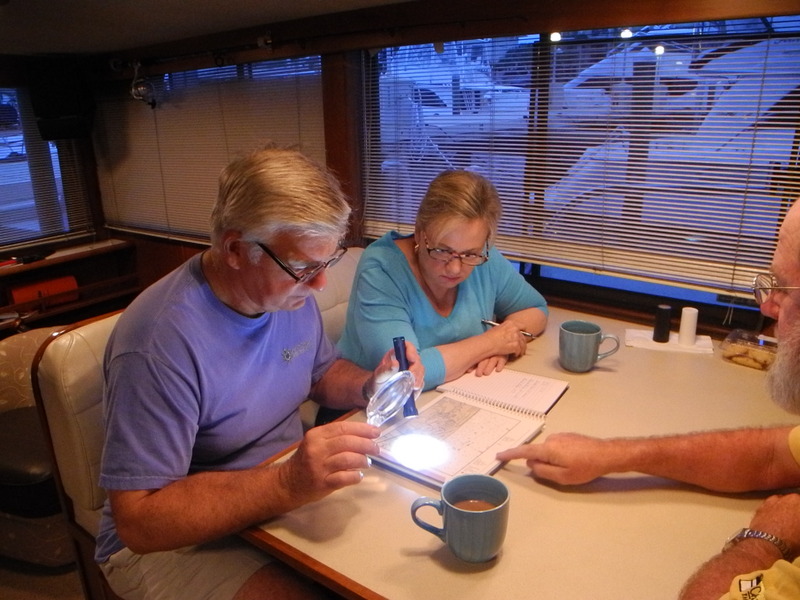 There are so many new systems and nautical terms to review! 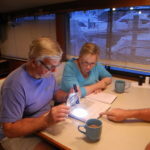 After we come aboard and discover their boating history we determine our strategy for our first few days together and set some goals. 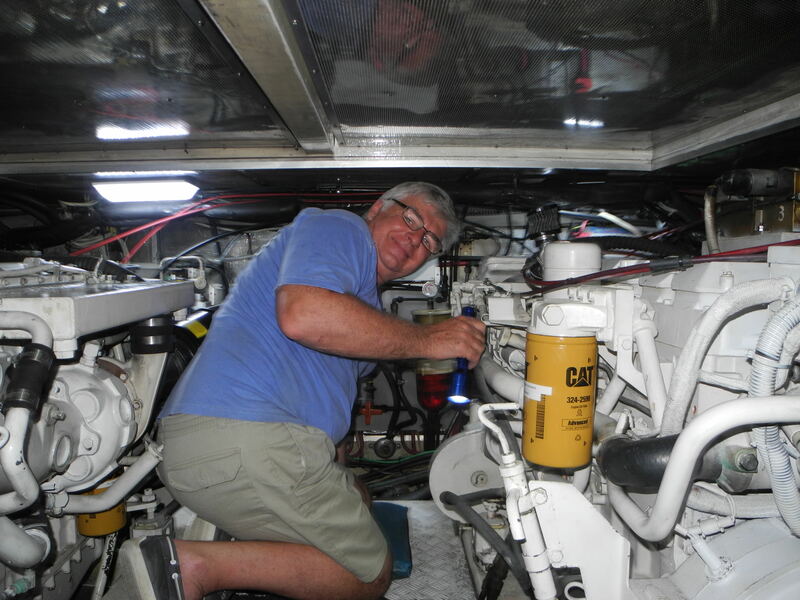 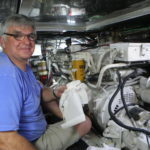 We start by going below to help them learn the fuel and water systems, sight gauges, stabilizer operations and generator power systems. 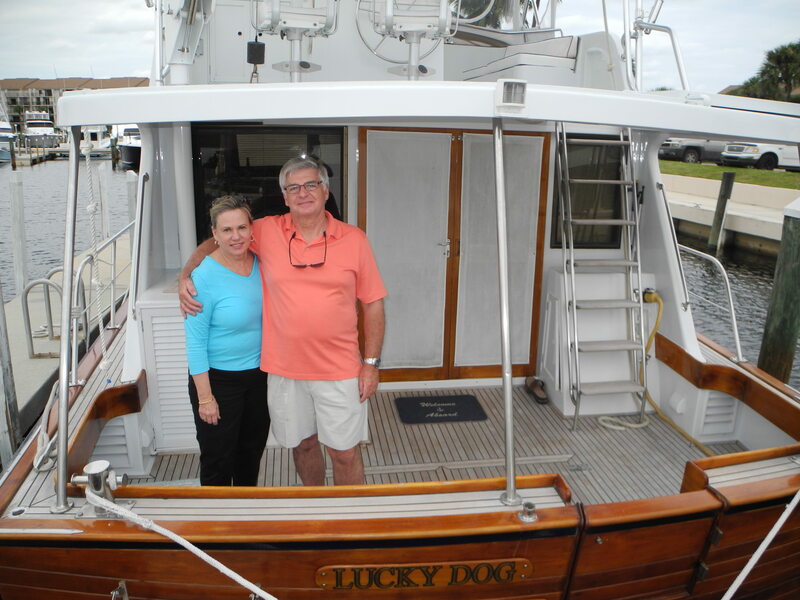 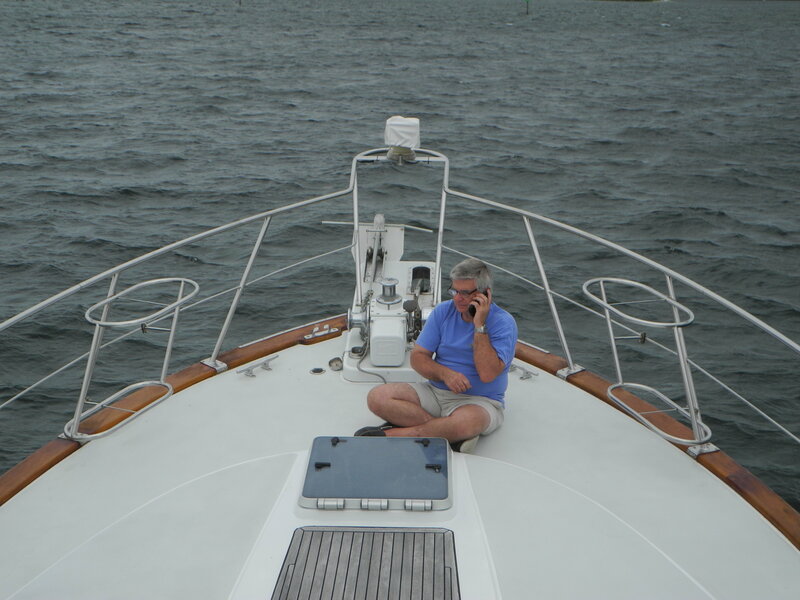 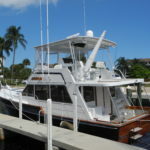 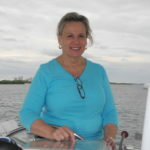 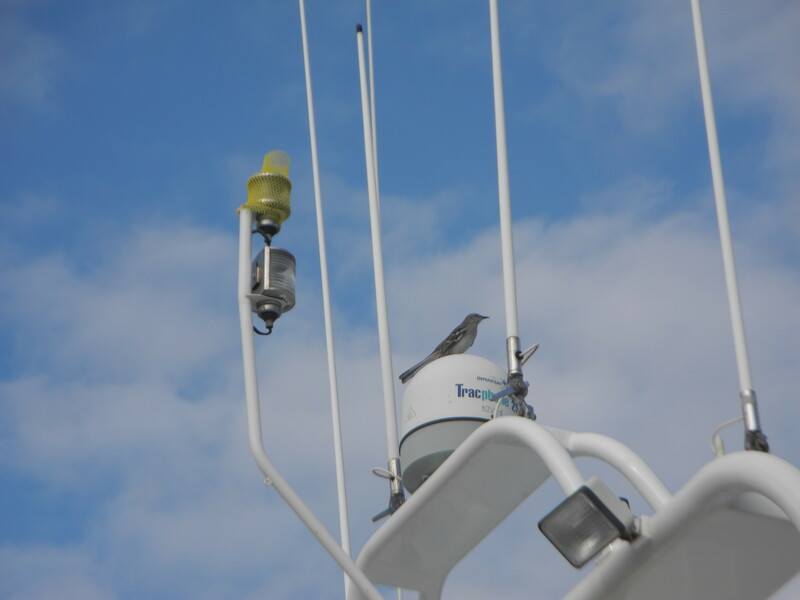 A few days of cruising around Palm Beach, anchoring and docking gives these new owners the confidence to continue. 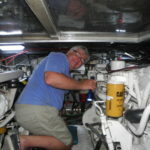 So much to learn but these few days show that it can be done. 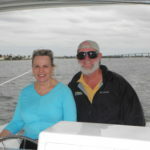 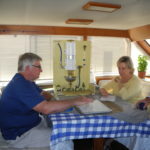 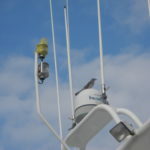 We will be ready for the test, the BIG adventure, their Spring cruise North with all the other snowbirds. 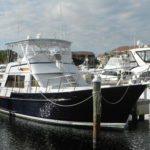 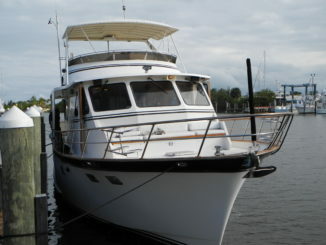 Yes, this boat will be headed for the Chesapeake in the Spring and Captain Chris will be aboard. 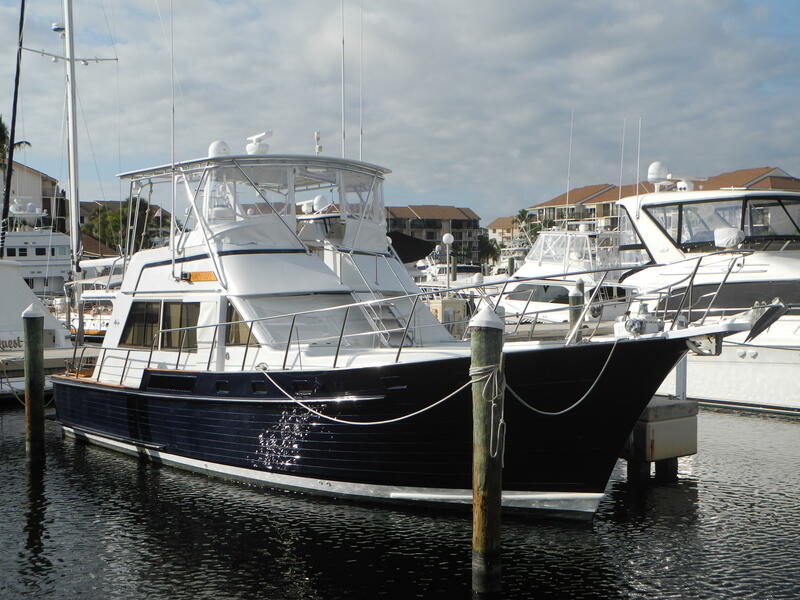 Watch for this beautiful dark blue hull as we cruise up the ICW through Savannah, Charleston, Norfolk and then the Chesapeake Bay.